Snow is expected to begin overnight, then will become mixed with, or change over to, ice pellets in the morning. Snow and ice pellets with a dash of freezing rain and strong winds are in the forecast for Tuesday, Environment Canada says in a special weather statement. The national weather agency has issued a winter storm watch alert for the national capital. The precipitation is expected to turn back into snow by Tuesday night, as colder air settles over the city. That temperature is expected to persist into Tuesday morning before going up to feel like - 9 Tuesday afternoon. Total snowfall and ice pellets of 5 to 15 cm is possible, along with ice buildup from freezing rain. Snow will taper off to flurries on Wednesday. 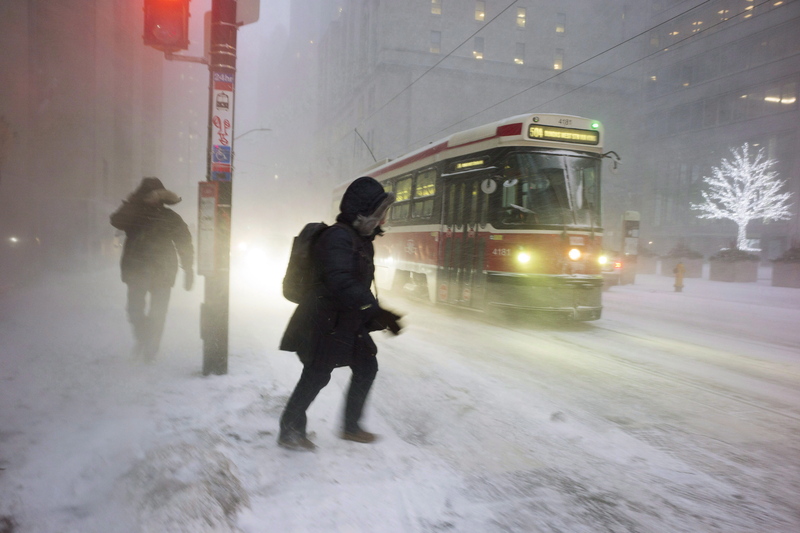 The amount of precipitation will depend on the weather system's exact path, and "how for north the milder air can get into southern Ontario", said the statement. It also advises of winds gusting up to 60 kilometres per hour that will "combine with the freshly fallen snow to create blowing snow". There is also a risk of freezing rain, which could result in power outages.